Heat oven to 375°F. Line a baking sheet with a silicone mat or parchment paper. 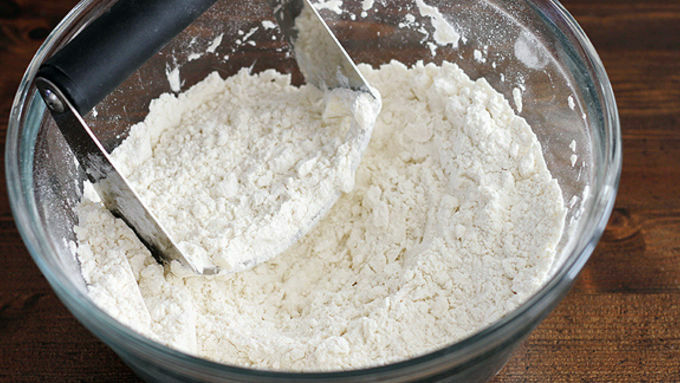 In a large bowl, whisk together flour, sugar, baking soda and salt to combine. Cut in butter with fingers, a fork or a pastry cutter until butter is the size of small peas and mixture is slightly crumbly. 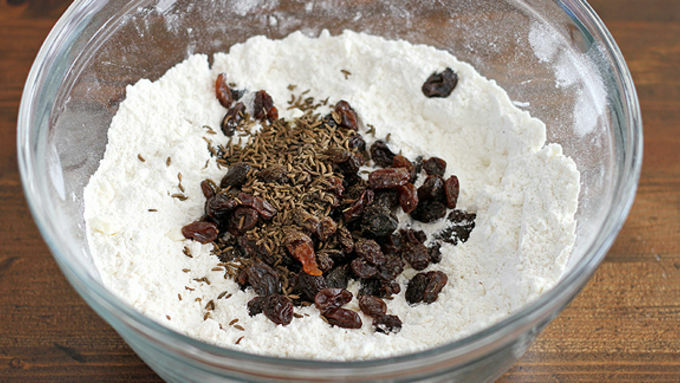 Stir in raisins, caraway seeds and buttermilk with a wooden spoon until just combined. Turn out dough onto a counter and knead very lightly until dough is just combined. Pat dough into a 1-inch thick circle. Use a biscuit or cookie cutter to cut dough into 2-inch rounds. Re-pat the scraps together to make more biscuits. Place biscuits a couple of inches apart on prepared baking sheet. Bake 15 minutes until biscuits are baked through and golden brown. Serve warm or room temperature. Irish Soda Bread is so ... Irish. What could be better for St. Patty's Day? (Well, besides green beer.) 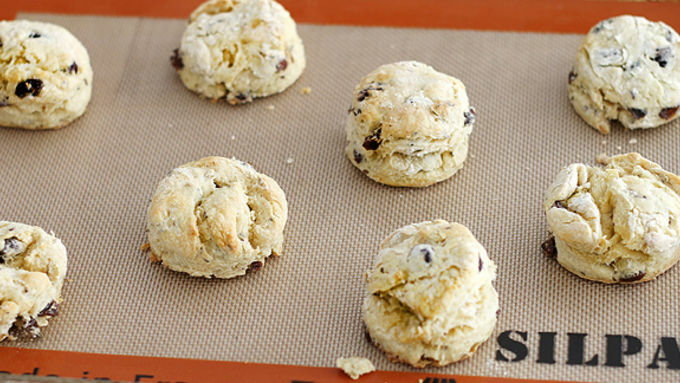 How about Irish Soda Bread Biscuits? Butter. Biscuits. Buttery biscuits. I think that sums up what you need in life. 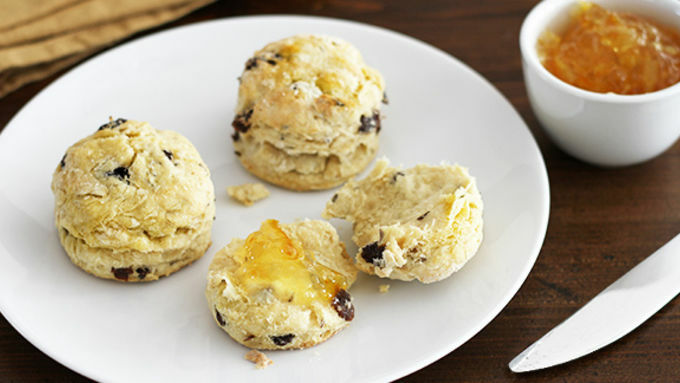 Okay, okay, so maybe you need a bit more in life, but you definitely also need these Flaky Irish Soda Bread Biscuits. 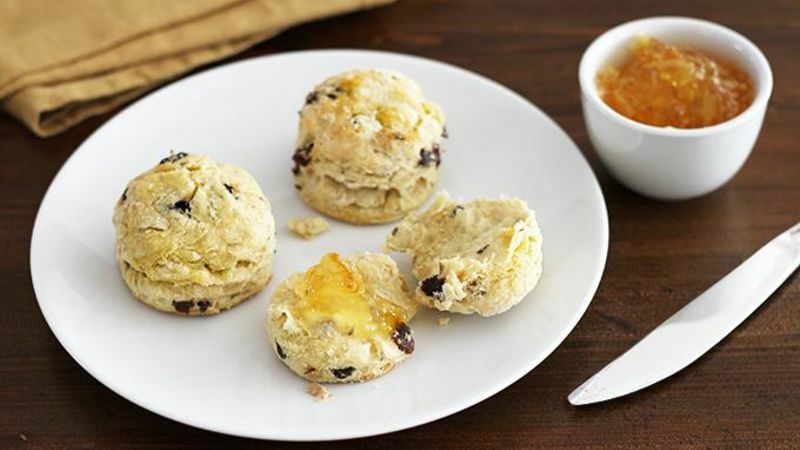 Inspired by a recipe from the Food Network, these little bebes of buttery goodness are a little sweet, a little savory and of course, buttery. I love them so much I make triple batches every time and eat them all in one sitting. Just kidding. Maybe. Serve them up with your favorite marmalade and, of course, extra butter. You’ll soon see why triple batches are necessary.